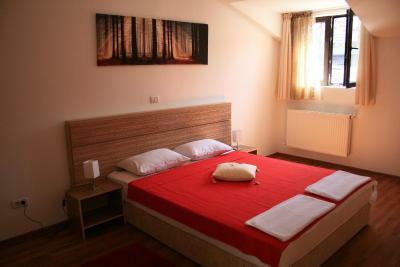 Lock in a great price for X Hostel Bucharest – rated 8.2 by recent guests! Great hostel, within walking distance to the old town. I had a private room and it was basic but had everything I needed. The bed was really comfy and it was very quiet at night time. Staff was very friendly and helpful. Really enjoy my stay in this hostel. The hosts were so helpful and pleasant. I arrived very early Friday morning and Rowena was kind and showed everything that I needed to be comfortable. Alexandra was there all weekend and worked hard to manage the bar and the desk. She was super friendly too!! Bathrooms were cleaned every morning and in excellent condition I would definitely stay here again if you are looking for an inexpensive hostel experience. I did stay an extra day in Bucharest and they had one spot left and made it happen. Great location, easy to acces, very clean, all that is needed in the room, great price. The staff was very helpful and friendly.Convenient location and good bar downstairs. Great location,away from late night loud music from old town if you want to sleep after party. X Hostel Bucharest This rating is a reflection of how the property compares to the industry standard when it comes to price, facilities and services available. It's based on a self-evaluation by the property. Use this rating to help choose your stay! One of our best sellers in Bucharest! Just 1,000 feet from the historic center of Bucharest and the Lipscani District with vibrant night life, X Hostel is 1,500 feet from Unirii Square Subway, and offers easy access to the airport shuttle. The accommodations units at X Hostel are bright, and have hardwood floors. The private rooms have bathrooms. 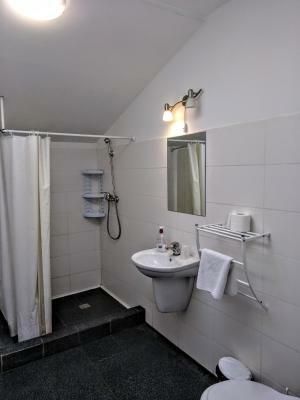 Dormitory rooms come with shared bathroom facilities. During summer, they also offer air conditioning. To further keep you entertained, Hostel X houses an on-site pub where guests can meet other travelers, play table tennis, and foosball. 뀐 Located in the real heart of Bucharest, this property has an excellent location score of 8.9! When would you like to stay at X Hostel Bucharest? Air-conditioned, nonsmoking room with a large double bed and a private bathroom with shower. A single bed in a dormitory, nonsmoking room equipped with lockers. Bathroom and toilet facilities are shared. A single bed in a dormitory, nonsmoking room equipped with 5 bunk beds and lockers. Bathroom and toilet facilities are shared. A single bed in a dormitory, nonsmoking room equipped with 4 bunk beds and lockers. Bathroom and toilet facilities are shared. Air-conditioned, nonsmoking room with a private bathroom with shower. This nonsmoking dormitory room features air conditioning. Area Info – This neighborhood is a great choice for travelers interested in nightlife, city walks and restaurants – Check location Great location - show map Guests loved walking around the neighborhood! House Rules X Hostel Bucharest takes special requests – add in the next step! X Hostel Bucharest accepts these cards and reserves the right to temporarily hold an amount prior to arrival. Please note that the reception is open between 08:00 and 02:00. Check-in and check-out outside these hours is possible. You need to inform the property in advance using the property directly with the contact details provided in your confirmation. Please note that smoking is not allowed indoor at this property. X Hostel reserves the right to apply penalties for guests not complying to this policy. Please note that air conditioning is available only during summer. Please inform X Hostel Bucharest of your expected arrival time in advance. You can use the Special Requests box when booking, or contact the property directly using the contact details in your confirmation. For the private rooms, the door handles and locks were very loose, and didn't seem very secure. Also, the noise from the hallway was very audible in the room. It is a few hundred metres from the old city (but not in the old city). Near to the old town, very kindful staff and the bar is open 24h/24. Very noisy in the very early morning, staff banging the doors and after i leave they contacted me to tell me i need to pay 25 lei because i lost the key, nothing even first checking the room or talking with the cleaning lady. I left the key in the door as you do and the cleaning lady forgot to give it back and they accused me of loosing it. The room was very confortable. Everything was great! Thx ! Nice staff! Nice location! The rooms were cold each time we arrived there, it does warm up in a couple of hours, the walls are very thin and can hear neighbors. The rooms are nice big and clean, the location is perfect. Description says "Free parking" but there isn't a private parking lot available. "Free parking" means park wherever you find on the street which in this case is a very narrow street full with cars.